In medieval days, the roads and tracks cut the heart of Tytherington into five sectors; one was occupied by the church and the priest's house, one by Llanthony Abbey's Grange, a third by farms (now The Swan and Edwards Farm), another (Jubilee Field) by humble dwellings, while the fifth (where Liberty House is now) contained a large house named Farrs with its extensive garden. It seems probable that at the foot of Stow Hill was the house of the Lord of the Manor, though this is conjectural. Atkyns in 1712 says 'There was an ancient Manor House near the Church, which is now demolished' and fifteen years later a document describes this site at the foot of Stow Hill as 'being where the House or Messuage commonly called the Lord's House formerly stood'. 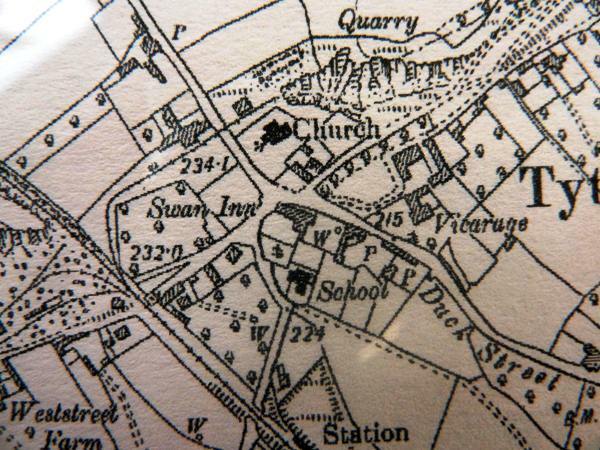 Farrs was probably situated where Liberty House is sited today (the rectangle immediately below the word 'Inn' in Swan Inn).